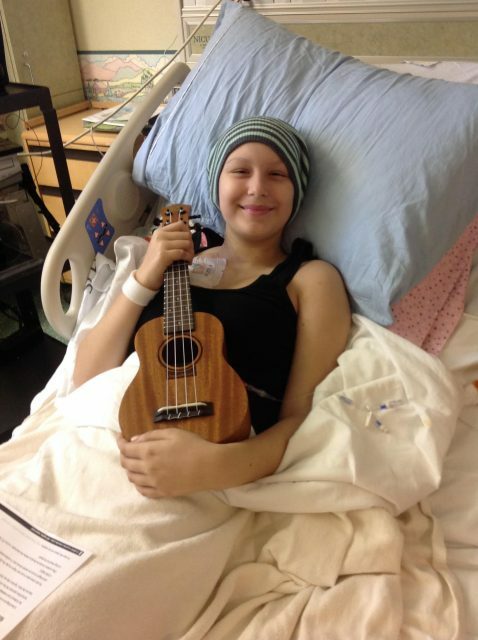 If a ukulele is placed in the hands of a hospitalized child, a miracle begins to occur. Pain will subside. A smile will appear on a child’s face. The fingers will touch a beautiful instrument of smooth and polished wood. 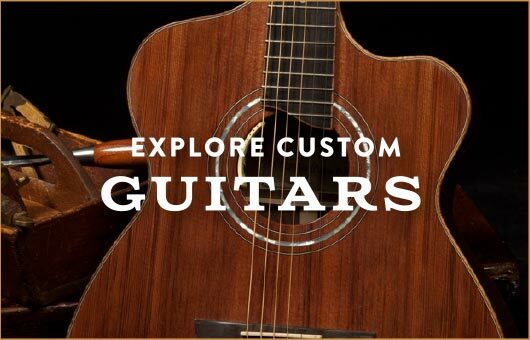 They will feel and hear the soft vibrations of 4 nylon strings. A Board Certified Music Therapist will teach them how to play a song. They will anxiously look forward to another lesson. While watching, the parents will momentarily be transformed to a joyful place. And when each child leaves the hospital, they will be given their ukulele to take home as a gift of music for life. We’re proud to be a part of an organization made up of truly good people doing such good work! We first learned about UKC via our participation in the Luthiers for a Cause project. 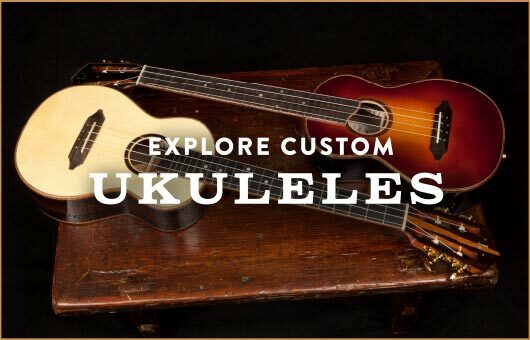 Over the course of a year (2017) six world-class luthiers built six one-of-a-kind ukuleles that were ultimately sold as a collection raising over $130,000 for The Ukulele Kids Club! What we’ve come to realize is that the money raised via LFC is amazing and too, the need is far greater. That is why we’ve made an ongoing commitment as Advisory Board members to contribute in all ways we can to help raise awareness about the benefits of music therapy and the healing power for sick children of ukulele. 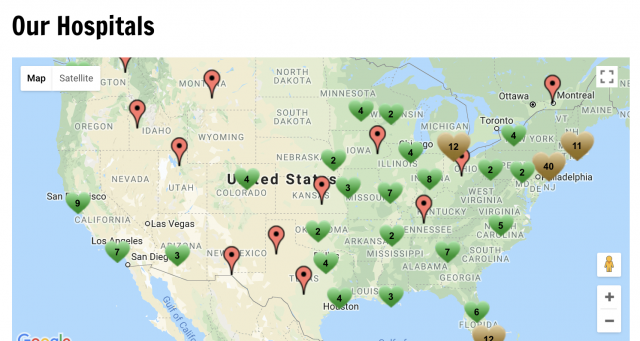 You can see from the UKC map, which represents the hospitals across the country being served, that they are making a meaningful difference. What is compelling to us is that for every one hospital benefiting from UKC, there are many hospitals requesting UKC support and ukuleles and that means children who are missing out. For every $40 donated to UKC a child has the opportunity to work with a music therapist while in the hospital and to take their uke home. This experience can do worlds to facilitate their healing and happiness in the midst of a hard time. For every $200 a new hospital can receive five ukes and the support needed to get started. We all have “our causes” … those organizations and projects that we contribute time and/or dollars to. At the same time it can feel overwhelming … the number of compelling causes we’d like to help out. Our hope is that as you learn more about UKC, that you add this to your list of causes and make a contribution of $40, $200 or whatever you are able.